New York City has many hidden gems. But, an outdoor bar with an incredible view is perfect for the Summer! 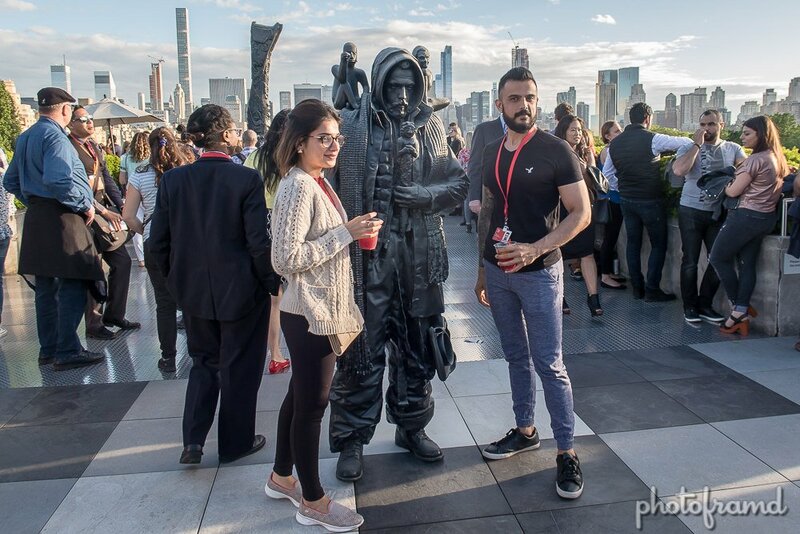 The Metropolitan Museum of Art’s Roof Garden is that outdoor bar and it has art too! This year’s exhibit is by Adrián Villar Rojas called The Theater of Disappearance. Using 3D scanning, the artist added real-life models to several works throughout the Met’s vast halls to reinterpret them for a new generation. Some are playful, some not. But, after a few drinks, you can always just admire the view or visit the weird exhibit at the Costume Institute. All photos taken with the Canon Powershot G7 X.